My Spectrum School’s mission is to develop the gifts of individual children, maximize their full potential, and foster a love of learning. Our facility is a safe and nurturing environment, built with 5000 square feet of carefully designed classroom space for stimulating and enriching your child's learning experiences. 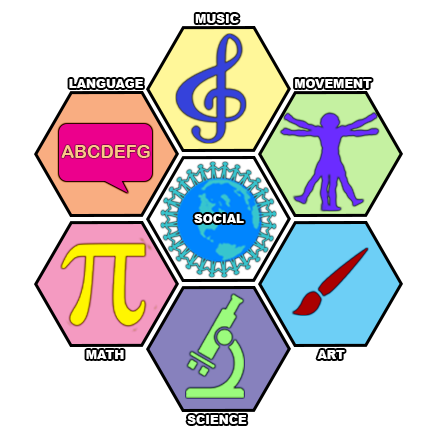 We strive to challenge and cultivate each student's distinct interests and abilities with an accelerated curriculum that is modeled after the Theory of Multiple Intelligences and Harvard University Project Spectrum in conjunction with New York State Common Core Learning Standards. We implement contemporary theories of education through practical teaching applications, which has afforded My Spectrum School with continual support from renowned researchers and exceptional practitioners in the field of gifted and talented education. Each of our students are encouraged to explore the diverse spectrum of knowledge in breadth and depth, discover new concepts and ideas, and develop necessary skills for success in the modern world. Students, children, or youth who give evidence of high achievement capability in areas such as intellectual, creative, artistic, or leadership capacity, or in specific academic fields, and who need services and activities not ordinarily provided by the school in order to fully develop those capabilities [Title IX, Part A, Definition 22. (2002)]. Works conscientiously, persistently, with a high degree of concentration. Has an extensive and detailed memory, especially in an area of interest. Has advanced vocabulary and communication kills. Highly inquisitive and loves to learn. Is able to identify important characteristics of new concepts and problems. Uses critical thinking, logic, effective and efficient reasoning in problem solving. Has a heightened sensitivity towards moral, ethical, and social issues. Not all children exhibit all characteristics which depends on their specific interest and ability. These quantified abilities must be nurtured and developed within a gifted school environment.